Smith is an original member of the group that became the Memorial Park Conservancy and the founding president of Save Buffalo Bayou. Many of us remember the shocking impact of the years of droughts on our beloved Memorial Park. The record dry spell in 2011 killed more than half the trees in the 1,500-acre park on Buffalo Bayou. Scores of distraught Houstonians were moved to raise funds and plant new trees. But now hundreds of trees, including towering pines and oaks, are being deliberately felled as part of a $200 to $300 million landscaping plan. Anyone walking in the park or even driving through can plainly see the bright plastic ribbons wrapped around the trunks of the legions of trees facing imminent doom on both sides of Memorial Drive. Many more trees still unmarked are to be cut down on the west side of the park to make way for sports facilities, a relocated Memorial Drive and, in an unhappy irony, an ecologically damaging monoculture of pines to be planted in unnaturally regimented rows as a memorial to those who served in World War I. As though this were not disturbing enough, the landscaping plan includes creating artificial streams and hardening them with wire, concrete rubble and “rock” of some sort. The unique beauty of Memorial Park and its distinctive benefit to Houstonians has been its forests and clear, sand-bottomed streams flowing through deep, winding ravines to Buffalo Bayou. This is part of Houston’s natural history, and this great public park offers our city residents the rare opportunity to experience the wonder of these living trees and streams. I have been involved with Memorial Park for more than 50 years. Before she died in 1975, I promised my friend Ima Hogg that I would always be a guardian of the natural character of the park. Miss Ima’s family sold the land for the park, previously a World War I training camp, to the city at cost in 1924. Read the rest of this editorial in the Chronicle. The idea is to separate parts of Memorial Park while at the same time bringing the land together. Susan Chadwick likes the former objective. She doesn’t understand the latter. Chadwick, the president and executive director of an environmental advocacy organization called Save Buffalo Bayou, is opposed to the land bridge project in the heart of Houston’s signature park. Part of the Memorial Park Master Plan approved by the city council in 2015, and funded by a $70 million grant from the Kinder Foundation, it features the construction of two earthen land bridges over Memorial Drive that would connect the north part of the park with the south. Another part of the project involves moving baseball fields on the south side of the park to the north – where there are softball fields, tennis courts and a golf course – which would make the south side even more of a natural area for wetlands and wildlife. “If they move all the sports facilities to the north and the south is nature area, why spend so much time and money constructing large bridges for people to go from the north to the south and vice versa since they will be doing different activities?” Chadwick wondered. “I don’t see the point of what they want to do. Read the rest of this story in The Leader News. Houston City Council members unanimously voted Wednesday to approve plans for the renovation of the Memorial Park golf course, which will allow the PGA Tour’s Houston Open event to be held at the course as early as 2020. The vote, which occurred after a week’s delay, will enable work to begin within days on the $13.5 million renovation plan, to be funded by the Astros Golf Foundation. Renovations need to be completed and the course open for play by Nov. 1 for the Houston Open to be played at Memorial Park in 2020. The foundation will pay an annual tournament fee of $1 million for the PGA Tour event’s use of the city-owned course, with $750,000 going to the city and $250,000 to the Memorial Park Conservancy. Mayor Sylvester Turner said he would recommend that the city’s share of the annual fee will be used for city parks. Susan Chadwick, president and executive director of Save Buffalo Bayou, which described itself as a watchdog group regarding development along the bayou, submitted a letter to the City Council in support of Laster’s efforts to capture the entire $1 million annual tournament fee for the city parks department. She also questioned whether the city should seek a higher fee for the use of Memorial Park for the PGA Tour event. Read the rest of this article in the Houston Chronicle. Watch this four-part series by KHOU Channel 11 reporter Brandi Smith about the scenic secrets of Buffalo Bayou. The series began airing Tuesday, Nov. 13, at 6 a.m. and the last segment airs Tuesday, Dec. 4. Remember that you too can float with Tom Helm and learn the ancient secrets of our beautiful bayou and the rocks and cliffs that line its banks. Rivers are dynamic systems and understanding the natural process of the river is the best way to protect against damages from flooding. Well, we were confused too and a little upset as we listened to Evelyn Merz of the Houston Sierra Club being interviewed this afternoon on KPFT by Mike Honig of Thinkwing Radio about the Memorial Park Demonstration Project. That project would have stripped, dredged, and rerouted over a mile of Buffalo Bayou flowing past Memorial Park in the middle of Houston. The stretch is a historic nature area, one of the last remaining publicly-accessible forested stretches of the bayou in the city. But the more we listened, the odder is seemed. Above all because the project is dead. What If Houston’s Survival Depends Not Just on Withstanding a Flood, But on Giving in to It? 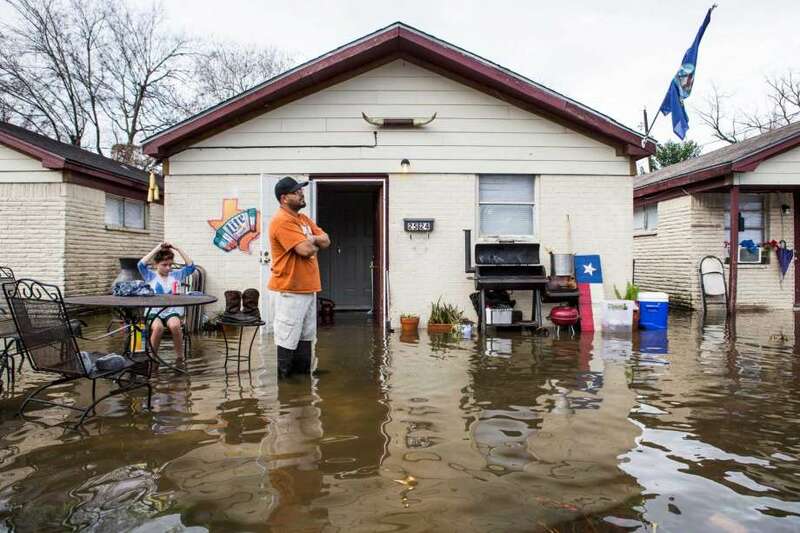 The chief risk facing Houston and Harris County is not the vulnerability of new developments, which do tend to be built higher, better, and upstream, but that of the older houses downstream, many built low to the ground and served by undersize storm drains. It may not be the case that your new neighbor upstream is making you flood. But the standards could be higher. 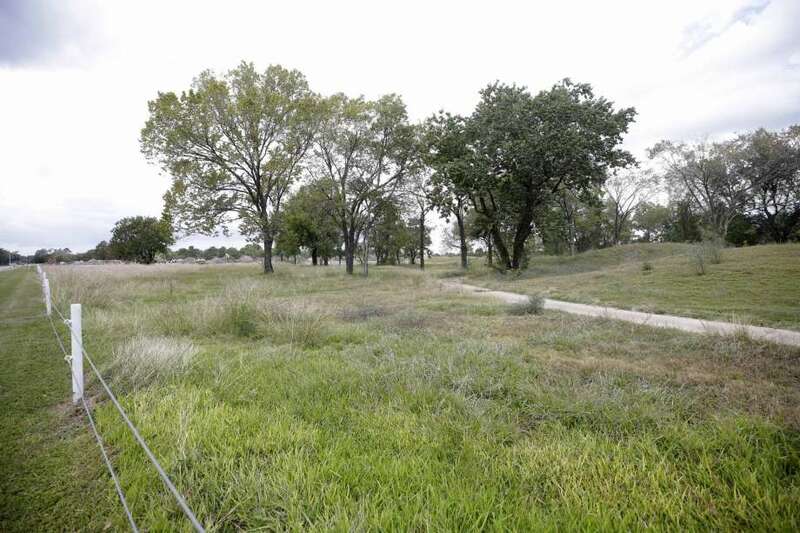 Activists say the choice between an abandoned, flood-prone golf course and a subdivision of 900 homes was a false one. Susan Chadwick, the executive director of Save Buffalo Bayou, a group that opposes development in and around the river, argued in June that the city should have used eminent domain on the course to create a detention pond that would relieve Brickhouse Gully. The engineers at the Flood Control District don’t disagree it would have been a good place for a pool. As we sat in his office going over flood plains, Todd Ward conceded it was a bit of a missed opportunity. We found the course on an enormous satellite map of Houston on the wall. In a giant city, it’s a small square. But there aren’t many undeveloped parcels of that size left. Some of the just-approved $2.5 billion bond will go toward buying out existing repeat-flooding homes downstream of the newly elevated houses at Spring Brook Village. The bond calls for $35 million of channel improvements to Brickhouse Gully to reduce the risk to 1,300 homes. Read the rest of this article in Slate. 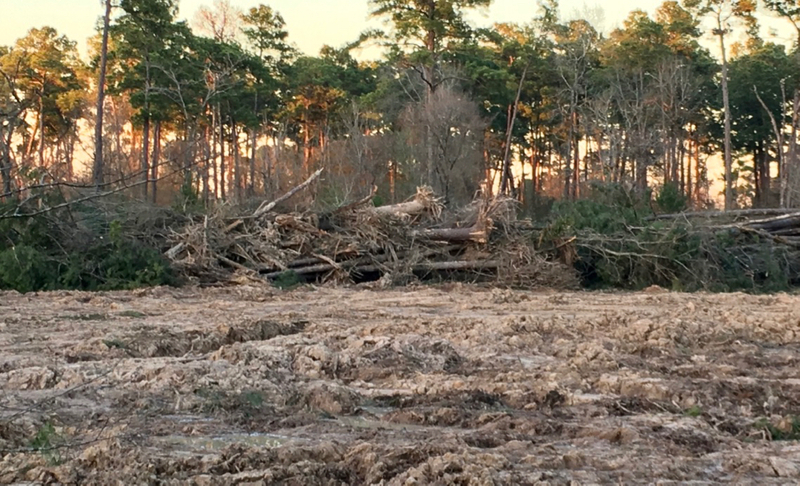 Since last fall, HCFCD has cleared large downed trees along nearly 25 miles of the bayou from Highway 6 to Interstate 45, according to Facilities Maintenance Department Manager John Watson. However, an official from nonprofit Save Buffalo Bayou said the work will ultimately lead to more flooding and erosion of the bayou downstream. Chadwick said Save Buffalo Bayou educates community members and leaders about how natural and manmade drainage systems work and what is ineffective to prevent flooding. She said large debris removal projects and other efforts to speed up water flow along Buffalo Bayou are not effective long term. She said because Buffalo Bayou is a natural body of water, it will always evolve and correct itself when repairs or changes are made. “A river is a dynamic living system. It adjusts itself to the width and depth necessary to become stable. An artificially deepened stream, for instance, will fill itself with silt and sediment again. The banks of an artificially widened stream will collapse. Streams flow the way they do because of the underlying geology. Rivers have a memory. They will do what they want and need to do,” Chadwick said. Read the rest of this article in the Memorial Examiner. Mention “eminent domain” and ugly associations come to mind. The brutal power of the state. Taking homes and land for development of pipelines and highways. Condemnation. But what if the government instead used its power of eminent domain to preserve undeveloped land urgently needed for stormwater detention and green space? It can do that. Other cities have. Recently there has been controversy over the city of Houston’s role in allowing residential development on more than 100 acres of an unused golf course in west Houston. Discussion has focused on the folly (and taxpayer burden) of constructing (federally-insured) homes in a flood plain. But the more critical issue is that this particular golf course — and other local golf courses — are one of the few remaining sources of undeveloped land vitally needed for detaining stormwater and reducing flooding in our highly developed city. The golf course in question, Pine Crest, drains into Brickhouse Gully, which in turn drains into White Oak Bayou. Both streams are among the top 10 fastest rising streams by flow in the state of Texas, according to a recent study by hydrologist Matthew Berg for the Texas Water Journal. Also in the top 10 is Cole Creek, which flows into the same spot. The decision to allow development of this open space, instead of using it for stormwater detention, is a prime example of creating a moral hazard. Local authorities make planning decisions putting residents in harm’s way and leave it up to the federal taxpayers to pick up the tab for the damage. “When … local governments do not share in the liabilities when a disaster occurs, they become incentivized by increased developments and tax revenue to continue making poor land-use decisions,” wrote the American Society of Civil Engineers in a 2014 report criticizing the National Flood Insurance Program, which will provide taxpayer-subsidized flood insurance for the houses built in the golf course/floodplain. (p. 24) The report also noted that “nonstructural and nature-based measures tend to be more efficient and sustainable solutions” than “traditional structural measures” like dams and pipes. Read the rest of this editorial in the Houston Chronicle. The former Pine Crest golf course at 3080 Gessner on Oct. 31, 2017. Photo for the Houston Chronicle by Melissa Phillip. Standing on the edge of a crumbling bank of Buffalo Bayou near Memorial Park, Susan Chadwick surveys the damage with a certain grim satisfaction. Having long insisted that the natural bayou could weather any storm, she now has her proof. Harvey damaged the banks, yes, but didn’t destroy them. “We were right,” she says. “It’s taken a beating, but it’s already coming back.” Half a year after the storm, wild violets and soft clover have sprung up near the water, and, Chadwick adds, she’s spotted wildlife—everything from turtles to cranes and even a family of otters—taking up residence once again. As the executive director of Save Buffalo Bayou, a nonprofit focused on preventing the Harris County Flood Control District from deforesting and channelizing one of the last relatively untouched stretches of the ancient waterway, Chadwick has spent the last four years trying to get people to understand the bayou and to leave it alone, arguing, essentially, that messing with it would lead to needless destruction and only make flooding worse. Read the rest of this story in Houstonia magazine. Susan Chadwick, executive director of Save Buffalo Bayou. Photo by Max Burkhalter for Houstonia magazine. Save Buffalo Bayou was on KPFT’s Open Journal on Monday evening. We had a lively discussion with hosts Duane Bradley and Sherri McGinty, who asked a lot of good questions about what Save Buffalo Bayou is doing now and how we are working to focus flood mitigation efforts on stopping stormwater before it enters our streams. Flooding begins on the land. Digging up and widening our bayous is outdated, costly, and only causes more flooding. Amazing development: Save Buffalo Bayou supports a Corps of Engineers project to study our regional Houston watershed, beginning with where raindrops fall and how we can slow them down to reduce our flooding. The faster the runoff from our homes, businesses, streets, parking lots and sidewalks, the higher peak flow in our natural drainage systems. Slow the flow. Citizens need to support this and contact their representatives. The project needs funding and the Corps by law cannot lobby. So who’s going to lobby? Regarding “Enough flood studies!” (Page A12, Jan. 26), John Moody, chairman of the West Houston Association, wrote a letter complaining about a Corps of Engineers proposal to study flooding in the region. It should be noted that the third reservoir in the Corps’ original 1940 plan was on White Oak Bayou, not Cypress Creek, as described by Moody. That nearly 80-year-old plan included a levee running next to Cypress Creek. A great deal has changed in 80 years. The Corps’ proposal to study the overall pattern of rainfall and drainage in the region is an excellent and necessary project if we are to understand our problem, prioritize our solutions and get the most flood reduction benefit for our tax dollars. The study will analyze the impact of impervious surfaces – such as roofs, roads and driveways – and the usefulness of widespread individual actions to hold back and soak in rainwater. The Corps conducted such a study in New Orleans after Katrina. The idea, proposed by the West Houston Association, of channelizing Buffalo Bayou to accommodate a massive, pre-development flow of 15,000 cubic feet per second is an absurd pipe dream. A flow above 4,100 cfs already floods property on the bayou. The executive director of the Harris County Flood Control District, Russ Poppe, has pointed out that merely purchasing the right-of-way on the banks would be prohibitively expensive, not to mention the cost of digging out the channel, mitigating the environmental damage to the waterway, and then continuously repairing the banks and dredging the sediment that will naturally fill in the artificially deepened river. Oh, then there’s the damage that would be caused by the massive flooding downstream from such a fast, powerful flow. Focusing on bigger channels, faster flows and big engineering projects is outdated and counterproductive. Modern flood risk management emphasizes slowing the flow, spreading out and soaking in rainwater before it floods a stream – and staying out of the way. The West Houston Association wants to develop more of west Houston, including the land surrounding Cypress Creek. That means adding more runoff to Cypress Creek and to our reservoirs on Buffalo Bayou. It means moving people into harm’s way. Read this letter in the Houston Chronicle. Buffalo bayou’s waters flow east for more than 50 miles from fast-vanishing western prairieland, through Houston’s centre and out to its heavily industrial ship channel. Long before the city’s tangle of freeways were built, the bayou’s existence helped draw settlers in the 19th century. But after thousands of homes flooded this August as Hurricane Harvey ravaged the city, proximity to water is increasingly seen as a liability. “Previous generations understood that you came here to make money and that was it,” says Susan Chadwick, executive director of Save Buffalo Bayou, a local advocacy group. The notion that Houston could be pretty as well as practical came relatively recently to a city where a climate-controlled tunnel system links 95 blocks so that office workers need not venture outside. “People don’t come here for the nature experience – never did. It was not a hospitable place. It was a place you’d pave over,” she says. Read the rest of this story in The Guardian. Excellent commentary from environmental lawyer Jim Blackburn on the vote by Harris County Commissioners today (Tuesday, Nov. 14, 2017) to go forward with contracts for detention basins in public forest alongside the channel of Buffalo Bayou. Save Buffalo Bayou is quoted also. Note that the KUHF reporter describes the issue as Not in My Backyard. No one on the Save Buffalo Bayou board or advisory board lives anywhere near this proposed project. This series of detention basins (not just one) will be built in a public park, public forest, riparian forest in west Houston. Creating only a modest amount of holding capacity (280 acre feet), they will not hold back water flowing into the bayou but will temporarily peel off water that is already in the bayou, and will have to be continually maintained and scraped of sediment. Detention is important and vital. 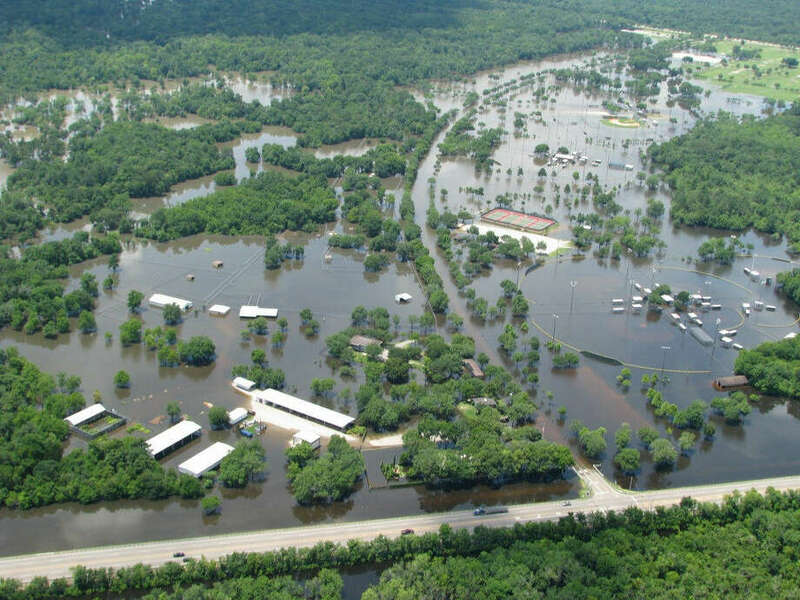 Bigger, wider floodplains are important. That means buyouts. New motto: Stop Raindrops Where They Fall! Public tax dollars should be spent where they will create the most benefit. Flood management policy should be focused on detaining stormwater before it enters our streams. The flood control district had the choice years ago of building bigger, more useful detention basins elsewhere. They chose not to do that. KHOU reporter Adam Bennett’s report on the flood control proposal to remove trees on the forested public banks of Buffalo Bayou in Terry Hershey Park. The controversial plan, long in the works, is to create a series of basins to temporarily hold water overflowing from the bayou. Save Buffalo Bayou thinks the time to stop stormwater is before it gets into our streams. Forest provides valuable detention. Removing it makes no sense. Watch the report on KHOU Channel 11. Flood control “improvements” will definitely destroy public forest along Buffalo Bayou in Terry Hershey Park. They’ve pulled an existing, long-opposed plan off the shelf to look like they are doing something, anything, about reducing flood damages. This won’t help. We are not in favor of trees because they look pretty. We’re in favor of trees because they help reduce flooding. Commissioners Court on Tuesday voted unanimously to let the Harris County Flood Control District sketch out what exactly a study of that segment of the bayou would examine. The Court would have to vote again to green light the actual study, which could recommend flood reduction measures, such as clearing trees and installing detention ponds. 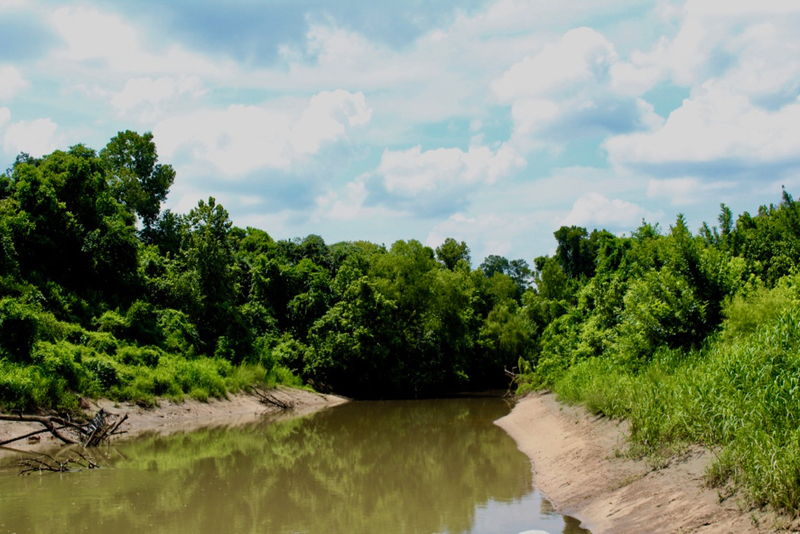 Susan Chadwick, executive director of the nonprofit Save Buffalo Bayou, opposed the flood control district’s study, stating that residents in the area had been fighting for years to keep the forests’ natural aesthetic. Read the rest of this story in the Houston Chronicle. Has Houston learned nothing after Harvey? City Hall must reject the pre-Harvey status quo of paving over the floodplain. Thanks to Houston Chronicle reporter Mike Morris and local advocacy groups like Residents Against Flooding and Save Buffalo Bayou, the scandalous MUD proposal was brought to public attention and referred back to the mayor for the time being. Were it not for media scrutiny and civic activism, this MUD, which was originally supported by District A Council Member Brenda Stardig, and the underlying master-planned community would have proceeded like any number of the oft-ignored issues that come before City Council. City Hall got lucky that someone else caught its mistake. Read the rest of this excellent editorial in the Houston Chronicle. But you don’t have to buy or even follow the riverine logic the organization steps through in a lengthy article posted to its website earlier this week to appreciate one of the examples of waterway-bank adaptation exhibited there. The first image (at top) shows the immediate aftermath of the Memorial Day storm or 2 years ago on the high bluff facing the bayou at the Hogg Bird Sanctuary in Memorial Park, which stands at the downstream end of the proposed project area. According to the organization, an HCFCD consultant claims that this is one of 4 spots within the bayou area that suffers from severe lateral erosion. But to Save Buffalo Bayou, this isn’t erosion; it’s just a slump, which is what bayous do naturally, and which on their own create the distinctive bluffs on the bayou’s banks. There’s no way to fix a slump, the organization’s geologists say — if left alone it’ll restore itself. Read the rest of this story on Swamplot. Susan Chadwick, executive director of Save Buffalo Bayou, was on KPFT’s Open Journal Thursday, July 20, talking with Duane Bradley and Marlo Blue about the organization’s campaign to stop a flood control project that would destroy one of the last natural stretches of Buffalo Bayou for no good reason. Here’s a link to the show. The discussion about Buffalo Bayou doesn’t come on until about thirty minutes into the hour-long show. This stretch of Buffalo Bayou would be filled and the bayou rerouted further south in the proposed Harris County Flood Control District plan. Looking upstream with Memorial Park on the right. Photo by Eric Boatman on July 15, 2017. Rays of Texas sunlight peeked through the riparian forest and reflected off the river current, guarded by sandy banks and high cliffs. A blue heron seemed to be following us as it soared overhead, releasing its echoing call through the clear skies. An alligator gar splashed in the water as it sensed our approach. We saw evidence of recent beaver activity: Footprints in the sand and chew marks on the tree stumps. As our journey continued along Buffalo Bayou, the 18,000-year-old waterway, I was awed by the abundance of wildlife, the scenery that surrounded us. I live in a subdivision in the southwest part of the city, and we were in the middle of Houston, the fourth-largest in the U.S., with a population over two and a quarter million people. And here I was floating down a dreamlike river in what seemed like a faraway land. I had been preparing for this expedition for months. My mission was to inventory the wildlife along the bayou. This was my public service project to earn the rank of Eagle Scout. Eleven of my fellow Boy Scouts in Troop 55 had volunteered to help. Our plan was to photograph the animal tracks we found and carefully catalog them with their GPS coordinates. The weather conditions had to be just right, and today was the perfect Saturday to explore – sunny and clear. We needed good weather, because we were going to canoe down the bayou, and the water level had to be low enough so that we could see the animal tracks on the sandy banks. The Army Corps of Engineers, which controls the two federal dams upstream, had assured us that the water level in the bayou would stay low throughout the weekend. This would be the first of four trips documenting wildlife tracks on the bayou as it flows past Memorial Park. These expeditions spanned a year. In the end, more than 30 volunteers documented 225 animal tracks and logged 327 conservation hours towards this project. I published a guide that summarizes our discoveries and illustrates some of the most common tracks. But this is what we saw that day. Read the rest of this lovely essay by Eagle Scout Paul Hung in the Houston Chronicle. Wednesday, April 26, 2017 at 6 a.m.
After years of controversy, the U.S. Army Corps of Engineers has finally decided to approve the Memorial Park Demonstration Project, which proposes to reroute and reshape a section of Buffalo Bayou running through Memorial Park and the River Oaks Golf Course. The Army Corps of Engineers signed off on the permit last Wednesday and Harris County Flood Control officials received approval of the individual permit for the project on Monday. 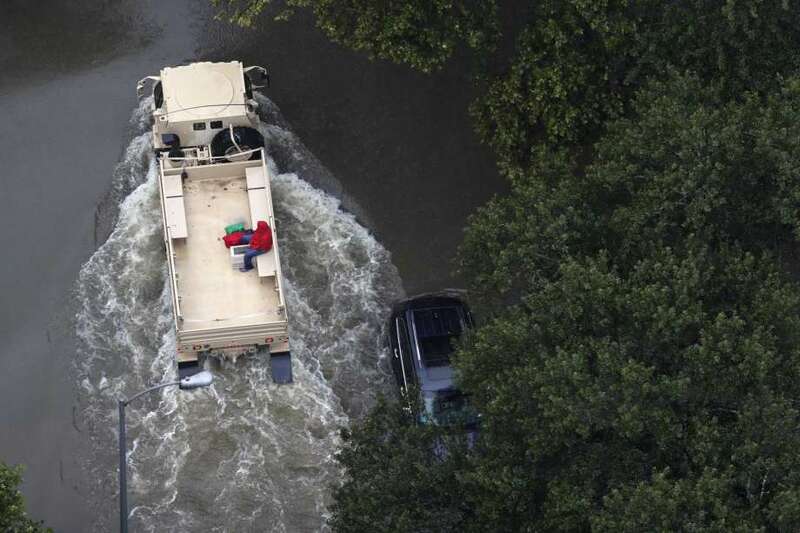 The Army Corps of Engineers doesn’t like to get dragged into controversy, so maybe that’s why it issued the permit Harris County Flood Control needed to move forward with the project without fanfare last week. Flood Control officials then followed up with their own quiet approval of the project, marking an abrupt, undramatic end to the fight over whether or not to alter the riparian forest that lines the banks of Buffalo Bayou, one of the last relatively untouched sections in the heart of Houston. The Memorial Park Demonstration Project has been a contentious issue since it was first proposed in 2011, as we wrote in our January 2014 cover story. The controversy continues. Read the rest of this story in the Houston Press. Maybe it’s because our political leaders are prioritizing the wrong solutions and are treating the symptoms instead of the problem. Widening and deepening bayous, a top priority for city and county officials, is an ineffective, environmentally damaging and unnecessarily costly approach to reducing flooding. Yet widening and deepening bayous is the stated policy and practice of the Harris County Flood Control District and a recommendation of Mayor Sylvester Turner’s 2016 Transition Report on ReBuild Houston, a report largely written by engineers. The practice also is embraced by conventional wisdom. Widening bayou channels was one of a number of responses to the region’s flooding problems listed in a recent Chronicle article, “How to Fix the Houston Floods,” by Dylan Baddour (HoustonChronicle.com, Dec. 31), as well as in a commentary by former mayoral candidate Bill King (“Homeowners puzzled by increase in floods” Page A13, Jan. 13). Carlos Gutierrez is calf-deep in water from heavy overnight rains at his house near the 2600 block of Creston on Wednesday, Jan. 18, 2017. Photo for the Houston Chronicle by Brett Coomer. The folks at Save Buffalo Bayou send over some before-and-after photos of the Memorial Park boat launch and companion drainage structure just east of where the stream crosses beneath Woodway Dr. The group says the canoe and kayak put-in spot, on a 30-acre section of the park once used as an archery range, had been slowly greened back up by native river plants following the area’s multi-year closure and workover by the Uptown TIRZ, which involved some de-treeing work and the planting of some contractor-friendly non-native grasses on the newly reshaped slope. Memorial Park director Jay Daniels told the group that the mowing was not planned, as park groups are currently trying to promote native plant growth in the park. Daniels said that he talked to a work group clearing some bayou access paths this weekend about removing some invasive Johnsongrass at the site; the conversation apparently led to some confusion, which led to mowing, which led to many folks being given a stern talking to. Read the rest of this sadly entertaining story on Swamplot. The waterway enthusiasts at Save Buffalo Bayou just issued their report on their recent tours of the waterway, with an eye toward how the scene has changed in the wake of the Tax Day flooding and the extended high flows from the try-not-to-make-things-worse paced drainage of the Addicks and Barker reservoirs. The photo above, taken during the organization’s scouting, shows an area of the bayou where the river channel dug through a curve and moved over, such that some landmarks previously on the north bank are now on the south side. The authors take issue with a number of current and proposed plans to keep the bayou’s banks in place, and suggest that the best way to end up with a relatively stable channel is to step back and let geology do the job. Read the rest of this excellent story and the lively debate in the comments at Swamplot. Susan Chadwick, executive director of Save Buffalo Bayou, and John Jacob, board chair of Galveston Baykeeper, wetlands expert, and director of the Texas Coastal Watershed Program at Texas A&M, were on the radio today talking about bayous, streams, wetlands, floodplains, and natural solutions to flooding. The popular weekly Tuesday program, Eco-Ology, hosted by Pat Greer and H.C. Clark, aired from 3 to 4 p.m. on KPFT 90.1. Among other things, we talked about proposals from the city and from the county and others to buyout property owners and widen and enlarge our bayous, creeks, and streams to handle increasing rains. This prospect might be alarming to those of us who recognize the importance of trees and vegetation along our waterways — for erosion control, cleansing our water, removing pollutants, slowing runoff, providing wildlife habitat, and many other life-sustaining functions, not to mention social benefits like we need nature to be sane. But what if they didn’t bulldoze our waterways and widen them artificially? What if they removed the built structures and created parks and allowed room for our rivers and streams to move and adjust on their own by letting them flood into their natural floodplain? This is in fact the latest thinking in flood control worldwide. Room for the river to move. Even in the Netherlands they are tearing down their big gates and dikes, letting the water in while raising the land where people live and work. Even in Missouri. A lot cheaper, more cost effective, and more beneficial overall. Listen to the Eco-Ology program on KPFT 90.1. More rain. Less open ground to absorb it. What happens when Houston’s reservoirs can’t hold it all? The water in the normally empty reservoir had dropped only a few feet by the time we stood on the earthen dam looking down at the dark, opaque blue-gray surface. After almost a month, the rippling water below was still some 23 feet deep, and extended as far as we could see along the thirteen-mile long dam and far into the thousands of acres of flooded woods. It had taken only a little more than 24 hours for the rains that began on April 18 to fill the vast flood control reservoirs in west Houston with a record amount of water: a total of more than 206,000 acre feet, a massive amount of water. Imagine 206,000 acres covered in a foot of water. Enough to cover more than eight times the acreage of both reservoirs to a depth of one foot. That much water would take an estimated four weeks to drain, according to reports at the time. Contemporary Art Museum Fort Bend is pleased to announce their participation in this year’s biennial FotoFest. This year’s theme, “Changing Circumstances: Looking at the Future of the Planet,” features an array of breathtaking and intellectual work that offers important commentary on our world and its rapid evolution. Much of the artwork in the exhibitions of FotoFest center in the themes of science, philosophy, politics, and environmental issues along with other global topics. In the exhibition, Coastal Essence, internationally known photographer Jim Olive delves into the complex world of protecting delicate habitats in our area. The well-known idiom, A Picture is Worth a Thousand Words, first appeared in English publications in the early 1900s. The statement was true then, but has never been truer than today. Everywhere we click on the internet and social media, we are bombarded with images. The high demand for photographic content in almost every form of present day media is relentless. Oftentimes, we learn an entire news story from a couple of images. For environmental organizations needing to express a compelling idea, nothing succeeds like a great picture. Read the rest of this story in The Katy News. What’s Going On With the Memorial Park Demonstration Project? The permit is still under evaluation. The Memorial Park Demonstration project has been a point of contention since the plan was first proposed back in 2013. Since then there have been strident public disagreements and arguments over how the bayou should be handled — or if it should be altered at all — but the ultimate decision on whether to approve the project has been in the hands of the U.S. Army Corps of Engineers. And so far, even though it’s been more than two years, the Corps has yet to actually choose whether to approve a permit that will give Harris County Flood Control the right to alter one of the last natural stretches of Buffalo Bayou running through the city. At this point, we’re starting to wonder if the Corps is ever going to make a decision at all. “The permit is still under evaluation. The U.S. Army Corps of Engineers Galveston District staff is working to finalize a decision in the coming months,” Dwayne Johnson, regulatory project manager for the Galveston District office of the Corps, stated in reply to our inquiries about where things are in the permit process. Read the rest of this story in the Houston Press. 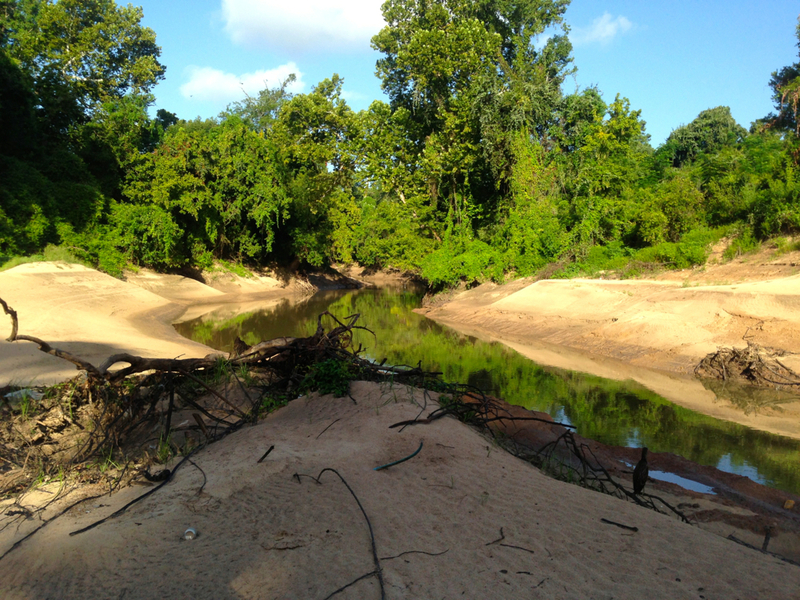 Listen to Susan Chadwick of Save Buffalo Bayou and Landrum Wise of Save Our Forest talk about community campaigns to protect public forest along some twelve miles of Buffalo Bayou in Houston. They spoke with Pat Greer and H.C. Clark on Eco-Ology on KPFT 90.1 Tuesday, Oct. 27, 2015, about efforts to keep the City of Houston and the Harris County Flood Control District from destroying woodlands on Buffalo Bayou in Memorial Park in the center of Houston and in Terry Hershey Park in far west Houston. In addition to their great social value and benefit to our health, well-being, and quality of life, the trees and vegetation that grow naturally along the bayou perform vital ecological services and are a key part of the bayou’s living system. Known as riparian zones or buffers, these specially adapted trees and plants cleanse and filter pollutants from the water. They protect the banks from erosion, absorb and slow storm water runoff and provide natural flood detention. They shade us and cool the stream, and provide wildlife habitat. Listen to the radio broadcast. It’s a place where people have been battling the power of water for decades. 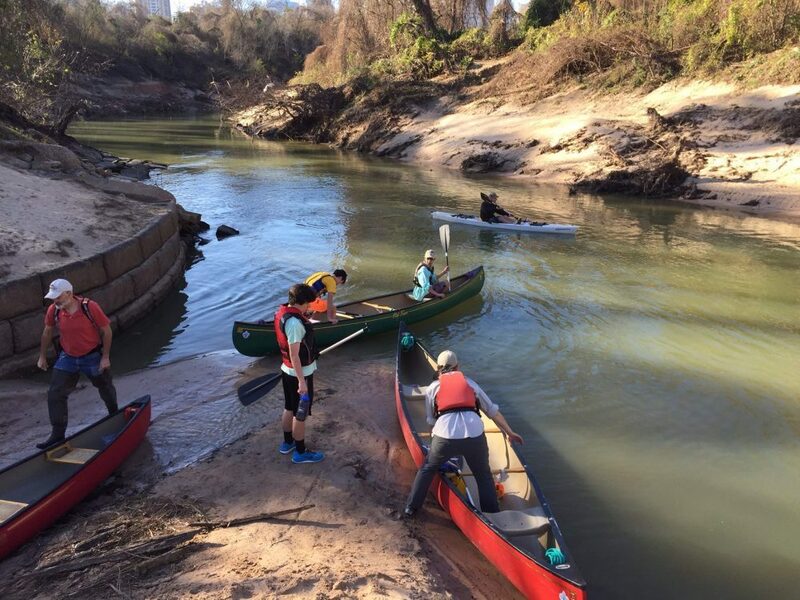 So we took a canoe to see how that power is re-shaping Buffalo Bayou. “So what we’re going to do is have you sit in this chair in the middle,” says our guide, Tom Helm as we ease into what he tells us is his most stable canoe. Helm is a canoeist and also a geologist in the oil and gas industry. We start our journey from where Buffalo Bayou runs under the West Loop. We’re soon floating along at a leisurely pace, going under a railroad bridge as a freight train passes overhead. We pass the backside of the Omni Hotel. We hit a few obstacles. “Whoa! That was a log we ran into, by the way,” says Helm. We manage not to tip over, and soon we are just a few miles upstream from downtown Houston. Listen to the radio report by Dave Fehling on KUHF. Where Buffalo Bayou runs alongside Houston’s Memorial Park, you can imagine you’re nowhere near a big city, because you’re surrounded by flora and fauna. But this weekend, on the other side of the bayou the quiet was broken by power shovels and bulldozers. They were working on the grounds of the River Oaks Country Club whose golf course occupies the bluffs above the bayou. Listen to this radio report by Dave Fehling on KUHF. If you have something to say about the Memorial Park Demonstration Project, you’d best speak up during the new public comment period opened up on May 5 by the United States Army Corps of Engineers. Changes have been made to the proposed project. The Memorial Park Demonstration Project has been a contentious issue since it was first proposed in 2011, as we wrote in our cover story published in January 2014. The project seeks to reroute and reshape a section of Buffalo Bayou that runs through Memorial Park and the River Oaks Golf Course. Harris County Flood Control officials put a $6 million price tag on the Memorial Park Demonstration Project. The City of Houston, the River Oaks Country Club and Harris County Flood Control have each chipped in $2 million. Since the beginning of the whole thing, Harris County Flood Control has been running the show at the behest of the other entities involved. Harris County Flood Control has been trying to get the Army Corps of Engineers to approve a permit for the project for years now, but so far it seems as if the project keeps getting hung up on permit-type snags in the process, partly because it’s a complicated thing to get the Army Corps of Engineers to permit just about anything, and partly because the project has drawn some rather vocal opposition from local environmentalists. What’s the right way to protect Buffalo Bayou? Is the traditional vision of local and urban flood control agencies in conflict with federal and state agencies charged with protecting the health of our waterways? Let me explain how I came to ask myself this question about mission conflict. I grew up on Buffalo Bayou in Houston, and since early last spring I have been involved with a campaign to stop a flood control project that would destroy and then attempt to rebuild a healthy and relatively untouched riparian forest corridor running through the center of our city. It’s pretty rare to have a stretch of fairly wild river running through the middle of such a large city. The late great conservationist Army Emmott described our Buffalo Bayou as a ribbon of life running through the concrete. And that’s what it is: a living thing, a diverse and dynamic ecosystem that shows us the wondrous process of nature. We are even more fortunate that in the words of the great river scientist Mathias Kondolf of Berkeley, this enchanting river has “room to move.” Here, in the middle of the city, we have space to “let the river be a river” — to let its banks change and its forest garden grow, as they would naturally. Dr. Kondolf traveled through this reach of the bayou in November, a reach that has never been channelized. The nearly 1.5-mile stretch targeted for destruction flows between the riparian forest and great cliffs of a public park (Memorial Park) and the forested terraces and high banks of a private golf course. Note: This opinion piece is adapted from a presentation delivered February 12, 2015, at Texas’ first Urban Riparian Symposium, sponsored by the Texas Water Resources Institute, the Texas Riparian Association, and the City of Austin. In May, when I pitched Gray Matters to the Chronicle, I wrote that it would be “about ideas” — a description that, I realized later, was fabulously broad. Everything worth talking about has an idea in it. I love you is an idea. I want a cookie is an idea. I want to do tequila shots at 9 a.m. is a bad idea. But it is an idea. Obviously, some ideas are better than others. They’re more original. Or more powerful. More able to transform our lives — or, just as important, the way that we see our lives. Anyway: In the six months since Gray Matters launched, these are the ideas, big and small, that have rocked my world. Or at least made it wobble on its axis. Sitting more than 50 miles from the nearest beach, it is difficult to think of Houston as a water city. When we consider its history, however, Houston has everything to do with water. According to Houston historian Louis Aulbach, even before European explorers found their way to the Gulf of Mexico, Native Americans camped and traded along the clear, clay-bottomed waters of Buffalo Bayou. Aeons before that, this land was built from sediment flow from the Rockies. Houston’s location near the Gulf of Mexico has put it in the path of hurricanes and constant rain. This land was prone to flooding long before the arrival of humans, and natural-disasters in Houston are always related to water — either the lack of it or abundance. As Houstonians, we have always been in a constant fight with water — trying to extract it, contain it, drain it, or, most recently: control its flow. It was pouring, and the rainwater had been rolling down the banks of the Buffalo Bayou for hours. Here, between Memorial Park and River Oaks, the bayou’s waters rippled with a speed that’s lost downstream, where the manicured river ambles between city blocks. This part of the bayou is one that few other than canoers and wealthy landowners ever see. Its water is murky, and plastic bags dangle from many trees. But it has an untamed, wild luster to it all the same. The roots of thick, tendril-rooted sycamores descend into the water, and the sandy bank is run through with delicate striations. To the paddlers who know it well — paddlers like those from Save Buffalo Bayou, the group that took me out on that wet November day — this length of bayou is precious. They worry, though, that its days are numbered. A Harris County Flood Control District proposal, submitted to the Army Corps of Engineers in April, would reconfigure and stabilize about a third of the semi-natural bayou left inside Loop 610. And it would do so using an approach called Natural Channel Design that, though in wide use across the country, is denounced in many scientific circles. One of the method’s foremost critics, G. Mathias Kondolf, a Berkeley professor of environmental planning, was with our group on the bayou. A plan to destroy the forest and dredge and channelize one of the last wild stretches of Buffalo Bayou as it passes by Memorial Park would also damage popular bike, hike, and running trails on the south side of the park. The controversial proposal, called the Memorial Park Demonstration Project, is costing taxpayers $4 million. A fifty-foot wide access road for heavy equipment from the park maintenance area would cut across trails and forest in the park. The road may be left in place, according to the Harris County Flood Control District. Dr. Mathias Kondolf spoke before a crowded room at the St. Theresa Memorial Park Catholic Church on Nov. 21. The event was organized by nonprofit association Save Buffalo Bayou. Kondolf arrived in Houston to tour Buffalo Bayou and weigh in with his opinion on the controversial Buffalo Bayou Demonstration Project. Kondolf is a professor of landscape architecture and environmental planning at Berkeley who has consulted on river restoration projects around the world. He’s also a critic of the Natural Channel Design stabilization techniques proposed in the Demonstration Project. At the heart of the controversy is the Harris County Flood Control District’s proposed plan to stabilize the bayou using Natural Channel Design. The proposed plan would re-align the bayou’s form, narrow it and deepen it in an effort to stabilize the bayou’s path and limit erosion. Supporters of the Demonstration Project include the Bayou Preservation Association and the Memorial Park Conservancy. Kondolf, however, wasn’t convinced the bayou needed such drastic measures. He compared the process to open-heart surgery. “If we could use a medical analogy, first, is the patient really sick?” He asked the crowd. “I don’t see any evidence of that. If there is something wrong, should we go directly to open-heart surgery before trying less invasive approaches? G. Mathias Kondolf climbed up the muddy banks of Buffalo Bayou with a small smile on his face. Kondolf, one of the leading fluvial geomorphologists in the world (he’s a river scientist) and one of the most vocal opponents to a method of river restructuring called natural channel design, was brought on by local environmentalists who are still hoping to stop the Memorial Demonstration Project from happening. Kondolf was brought to give his opinion on the state of Buffalo Bayou. Knocking the mud and river muck off his boots after a tour of the waterway on Friday morning, Kondolf’s smile widened. As both a leading river science expert and as one of the leading voices speaking out against the so-called natural channel design approach to rivers, Kondolf, a professor of landscape architecture and environmental planning at UC Berkeley College, is always getting invitations to come check out various projects across the country. He took the people with Save Buffalo Bayou, a nonprofit organization that is in opposition to the project, up on their offer to assess Buffalo Bayou because the Army Corps of Engineers has yet to issue their ruling on whether or not to permit the Memorial Demonstration Project. So there is still a chance to have an impact on what is happening, he says. The Harris County Flood Control Task Force gave overwhelming approval to a controversial plan to reconfigure Buffalo Bayou along Memorial Park. But opponents were unhappy not only with the vote but how the meeting was held. As two deputy constables stood on either side of the door of a meeting room at flood control headquarters, Susan Chadwick with the group Save Buffalo Bayou waited in the hallway. She and a handful of other conservation activists wanted to be inside to hear the discussion of the Flood Control Task Force which is a 31-member panel of engineering, environmental, government and business people. But they were told only members would be allowed inside the room. “It always has been opened. There’s never been a question of it being a closed meeting for these task force meetings,” Chadwick told News 88.7. In 1966 Terry Hershey asked me to join with her, George Mitchell, and then Congressman George Bush in their campaign to stop the Army Corps of Engineers and the Harris County Flood Control District from bulldozing the natural banks of Buffalo Bayou near our homes on the west side of Houston. At the time none of us knew what we know now: that the trees and vegetation that grow on the bayou’s banks are so important to the quality of our water, to erosion and flood control. We just knew that we preferred and respected nature. My house backed up to the bayou, and I let the enchanting forest back there grow wild. I was one of the only homeowners in our small neighborhood on the river who never had problems with erosion. Others who cut down the wild trees and plants saw their backyard gardens and lawns wash away. We stopped the bulldozers on the bayou back then, and at other times too over the years. The organization that we formed became the Bayou Preservation Association, and eventually I became the president of it. I am still on the executive committee of the BPA, as it is called, though the organization no longer serves the cause of preservation. The BPA has lost its way. Read the rest of the editorial online in Gray Matters in the Houston Chronicle. 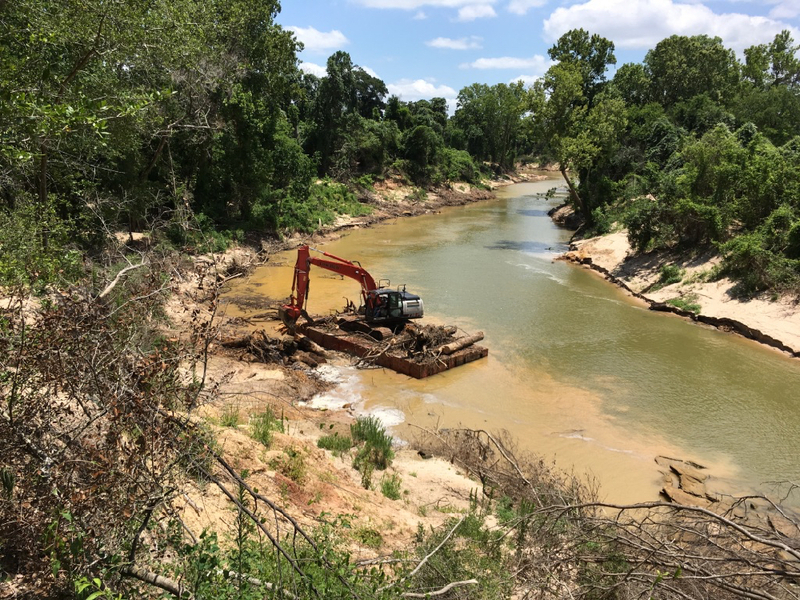 Dave Fehling did an outstanding job of reporting for the Houston Matters radio show on the Buffalo Bayou bulldozing project that aired last Wednesday, Oct. 8, 2014. (Segment starts at 18:35.) Fehling is Houston Public Media’s State Impact reporter for Energy and the Environment. We have pulled the canoe up to a clean, white sandy beach on Buffalo Bayou in the middle of the city. It’s still early morning, and all along our slow paddle from the bridge at Woodway great white egrets and a great blue heron fly ahead of us, leading us to our destination: the prehistoric cliffs and forested banks that could soon be obliterated by the Harris County Flood Control District. It’s a bizarre project, all the more incomprehensible in that the project is primarily promoted by the influential Bayou Preservation Association (BPA), founded in the 1960s to prevent the flood-control district from bulldozing the natural beauty of Buffalo Bayou. Read the rest of the article online in the Houston Chronicle. Note: This article also appeared in the print edition of the Chronicle on Sunday, August 3, 2014, Page G4. Over time, the mission and purpose of citizens’ organizations can erode and change course. Tragically, this is the case with the Bayou Preservation Association, founded in 1966 “to protect the natural beauty” of Buffalo Bayou against the bulldozers of the Harris County Flood Control District. In a 1984 KUHT documentary, BPA founding member Terry Hershey warned that we must always be vigilant because the HCFCD would always try to find a way to strip and channelize our southern, slow-moving bayou and turn it into a drainage ditch. How shocking that the BPA itself is now promoting a Harris County project to bulldoze nearly 1.5 miles of our last remaining wild bayou in the middle of Houston in order to do just that. Read the rest of the editorial. Will Dispute Sink $6 Million Buffalo Bayou Erosion Plan? HOUSTON — Ask my kids about canoeing down a Texas river and they’re probably more likely to tell you about Sea World’s Rio Loco or a lazy river at the nearby neighborhood pool. The notion of dropping a canoe in under the 610 West Loop bridge for a lazy paddle down Buffalo Bayou is as far from their mind as it was from mine; afterwards my only regret is that I waited 13 years since arriving in Houston to do it. A few unsure steps down a sandy bank underneath one of the most congested stretches of highway in Texas leads to another world. Egrets glide over the banks, fish jump, rapids run around World War I relics, turtle tracks slide up and down the banks, sandy beaches perfect for picnics emerge around hidden corners. To those unfamiliar with the mysteries of Houston, a visit to Hogg Bird Sanctuary yields surprising results. When you turn at the traffic-choked intersection of Memorial Drive and Westcott, then park in the lot across from Bayou Bend, the Museum of Fine Arts Houston satellite location that was once home to Ima Hogg, you don’t expect that you’re about to enter a wooded wonderland. But once you’ve stepped out of the parking lot and into the sanctuary, carved out of forest and terrain that’s downright hilly by Houston standards, you feel almost completely removed from the roaring city just a few yards away. With a few more steps you’re at the edge of a steep and unexpectedly tall cliff overlooking an oxbow bend in the bayou below, its graceful arc framed by trees. You’re standing in one of the most dramatic spots, natural or man-made, the city has to offer. Given Houston’s when-in-doubt-pave-it ethos, the thought that you’re on the edge of a highly developed and well-monied neighborhood just minutes from downtown produces a touch of vertigo. Save Buffalo Bayou is leading the activism against this. Two of its members had an op-ed in the Chron recently, reprinted here, that lays out their case. I haven’t followed this closely, but the way they illustrate what the plan is sure doesn’t make it look appetizing. If you want to offer your feedback, you have until June 30, when the public comment period closes. Here are their recommendations for what to say. CultureMap has more. Critics of the plan say the project would bulldoze the last remaining wilderness banks of the bayou and destroy the natural habitats of birds, fish and other wildlife. “I don’t think you can call this a restoration plan if you remove 80 percent of the vegetation and you cut through meanders of the bayou. That’s not restoration,” said Evelyn Merz, with the Houston Sierra Club. Merz said those opposed to the project would rather see targeted efforts along the bayou. They also don’t want the channel changed. Watch the broadcast on Channel 2. A bird and wildlife refuge in Houston is now the 11th most endangered spot in the state, a designation announced just days before public comments were extended on a “restoration” project to bulldoze the area along Buffalo Bayou. Hogg Bird Sancutary, as well as Camp Logan, are the latest “Texas Most Endangered Places” victims as determined by Preservation Texas officials. That news, delivered on the State Capitol steps Tuesday as part of the organization’s 2014 Preservation Summit, came within 10 days of the time the initial public comment period on the Memorial Park Demonstration Project was set to expire on May 30. A $6 million plan to tame a mile-and-a-quarter stretch of Buffalo Bayou is drawing an ever-louder outcry from several prominent environmental and conservation groups who say the project aimed at reducing erosion and improving water quality would only make things worse. Opposition to the so-called Memorial Park Demonstration Project, targeting a segment of the historic bayou that snakes between Memorial Park’s secluded southern edge and the River Oaks Country Club golf course, has grown more vocal as a deadline to submit feedback to the U.S. Army Corps of Engineers approaches. The project requires a permit from the Corps. Borne of a 2010 workshop hosted by the Bayou Preservation Association, the project calls for reshaping the banks of the bayou that wind past the posh country club, the Hogg Bird Sanctuary, a residential neighborhood and the southernmost border of the 1,503-acre park. 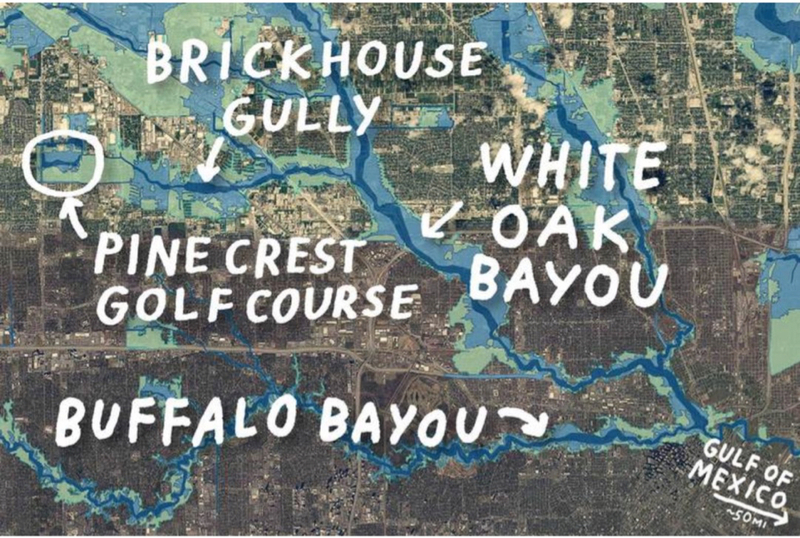 The plan calls for the segment of Buffalo Bayou – stressed, both sides agree, by the increased runoff that has come with urban development – to be widened, its course adjusted in some places and its crumbling banks shaped into stable slopes. A mass of vegetation would be stripped away from its banks and trees removed. 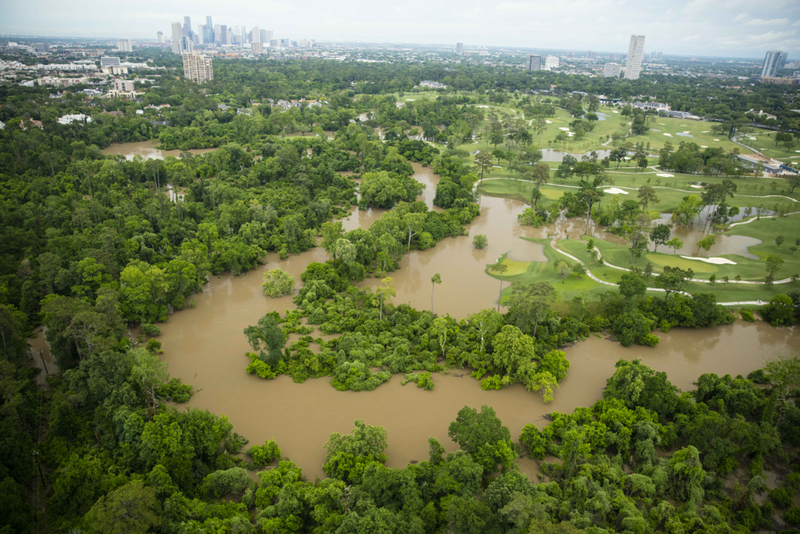 Replanting would occur toward the end of the project, the cost of which Harris County, the city of Houston and the country club have agreed to share. 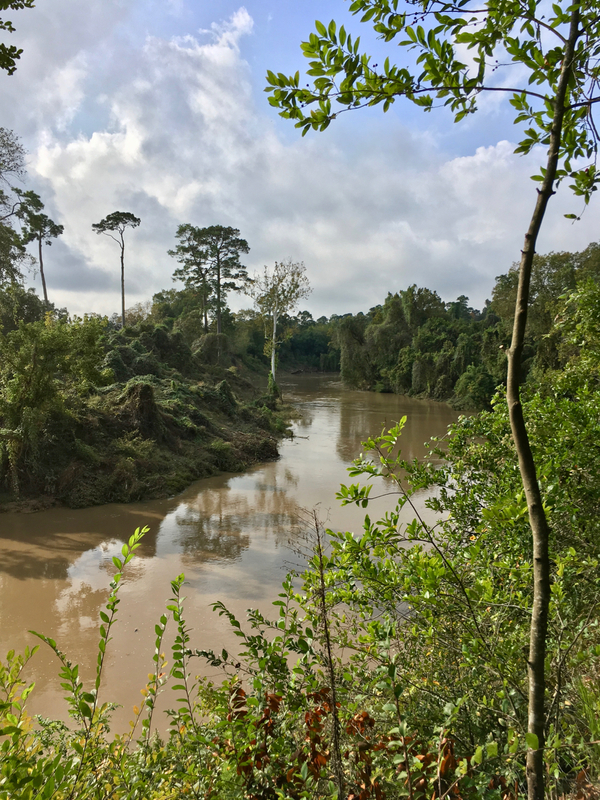 “If we strip off 80 percent of the vegetation, if we remove the trees that shade the water, we will actually ruin a mile and a quarter of the main channel of Buffalo Bayou,” said Evelyn Merz, conservation chair of the Lone Star Chapter of the Sierra Club. The group is proposing an alternative that involves promoting the existing habitat by planting native vegetation. It would impact the area less “because it will be aimed at the areas that most need support,” Merz said. Anne Olson, president of the Buffalo Bayou Partnership, which oversees the waterway from Shepherd Drive east to the Turning Basin Terminal, said the proposed project will reduce the amount of sediment that ends up on hike-and-bike trails farther east. “What happens for us downstream is that the silt that sloughs off the banks in Memorial Park ends up down on our trails, and it’s a huge maintenance issue for us, so anything that can be done to alleviate the erosion of those banks is an important thing,” Olson said. Members of the Save Buffalo Bayou defense team were on the Eco-Ology radio show on KPFT Tuesday, May 20, from 3 to 4 p.m. with Pat Greer and H.C. Clark. 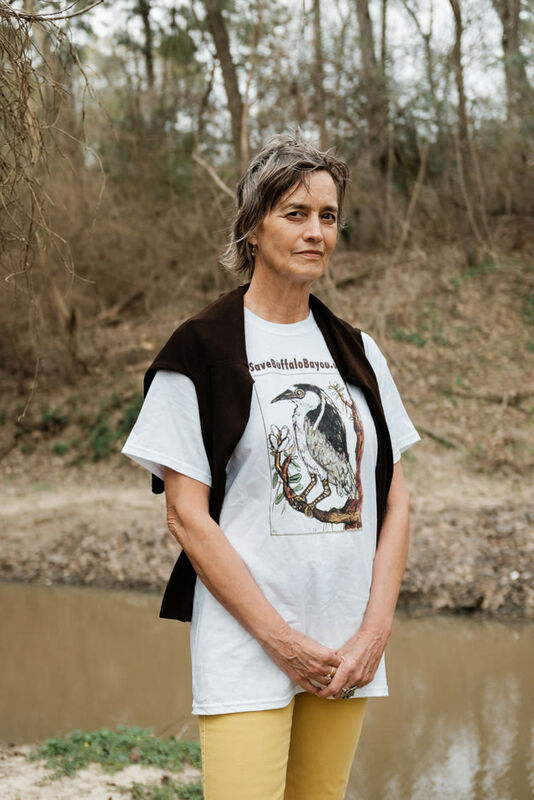 Listen to Olive Hershey, Brandt Mannchen, and Frank Salzhandler talk about why bulldozing the riparian forest on both banks of Buffalo Bayou as it flows through our historic Memorial Park and the Hogg Bird Sanctuary is an appalling idea. Hershey is a poet, novelist, and environmental activist. Mannchen is chair of the Forestry Committee of the Houston Sierra Club. Salzhandler is a former All-American UT swimmer, rabble rouser, director of the Endangered Species Media Project and chair of the Natural Heritage Program for the Harris County Historical Commission. Brandt Mannchen explains the ugly details and describes some of the alternatives on KPFT News, Tuesday, May 20, at 4 p.m.
A Harris County plan to alter Buffalo Bayou as it runs through our publicly owned Memorial Park would destroy one of the last remaining river forests in Houston, an ecologically important riparian wilderness that cannot be replaced. The county intends to bulldoze both sides of the bayou – up to 100 feet from the water’s edge in places and including a tributary in the Hogg Bird Sanctuary – stripping wide swathes of native trees, vines and undergrowth from the bayou’s natural sandy banks. Vital habitat for hundreds of species of birds, animals and water creatures will be lost. The slow-moving bayou’s shady banks will be denuded and replanted as a sun-baked lawn. River science tells us there are better and cheaper ways to control erosion and help Buffalo Bayou without destroying the bayou’s unique ecosystem and turning it into an ordinary ditch. Local conservationists are dusting off their extensive notes after the U.S. Army Corps of Engineers issued a public notice that the comment period is open through May 30 on a controversial Buffalo Bayou restoration project that would impact Houston’s signature Memorial Park and the adjacent Hogg Bird Sanctuary. The Memorial Park Demonstration Project is proposed to repair severe erosion on a natural segment of the bayou that flows between the park and River Oaks Country Club. Plans for it were unveiled last December and include what are referred to as natural channel techniques. Groups like the Sierra Club’s Lone Star Chapter and the Endangered Species Media Project contend an equally scientific but less destructive, targeted approach exists to stabilize the banks of the bayou through the more than mile-long section. They are concerned over the potential loss of an unrivaled riparian forest and associated habitats within it. And some also worry that groups once committed to conserving the bayou’s natural state now view it as a playground for the city’s increasingly dense population. “This is actually a battle to determine what the bayou is going to be, not only for this segment but for other reaches as well,” said Sierra Club’s Evelyn Merz. Fighting for Control: Can Buffalo Bayou Survive the Latest Plan to Save It? By Dianna Wray, Houston Press, January 8, 2014. What many don’t know, however, is that there isn’t a consensus on the project. While proponents see it as the only answer for this section of the bayou, those against it say that the method of natural channel design will destroy one of the last natural stretches of riparian forest on Buffalo Bayou in a quest to shift and control the river using a controversial method that they say will also destroy the ecosystem and unnecessarily channelize the ­waterway. Doyle questions whether Rosgen’s methods will even work in Houston. Rosgen used his technique of natural channel design on western rivers in the early 1980s. But as his approach caught on and moved east, applying his practices to waterways formed on flat, sandy coastal plains proved to be a problem, Doyle said.